Our top priority is ensuring your contributions are invested in the best possible way to have the greatest local impact. How Does United Way Invest In the Community? Focusing on education, health, financial stability and basic needs, we work to address our community’s economic mobility challenges. Our two-generation approach supports the entire family by intentionally focusing on the needs of both parent and child. 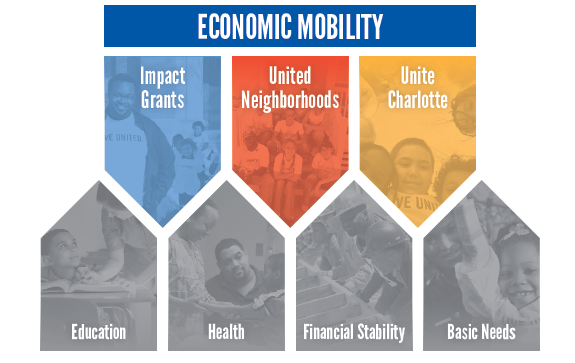 We support our five-county region through a network of partners that work collaboratively to provide comprehensive and coordinated services that will improve economic mobility and achieve results greater than any single organization. We work to change the odds for those in our most under-resourced neighborhoods by supporting community-driven holistic neighborhood transformation and revitalization efforts. We support new and grassroots organizations through grants and capacity-building activities focused on improving racial equity and increasing social capital. We provide annual grants through a competitive proposal process to high-performing organizations that address our community’s economic mobility challenges. All grant applications will be assessed through a community-led review process, in which staff and dedicated volunteers evaluate and identify the local collaborations and approaches that can create a lasting impact. Invitations will be extended to agencies in our five-county region and our United Neighborhoods communities annually before the end of the year. Applicants are required to submit an online application and financial documentation materials. Community members across the five-county region and United Neighborhoods communities are invited to participate in the volunteer review process. These volunteers serve as the eyes and ears of more than 200,000 donors. Each panel of volunteers will read, review and evaluate applications and host presentations by applicant agencies. The grant panels then comparatively evaluate the proposals and recommend funding amounts to United Way of Central Carolinas’ Board of Directors. Click here to learn about the volunteer review. United Way of Central Carolinas’ Board of Directors approve grant awards and agreements. Agencies are notified of awards. United Way’s Impact Grants and United Neighborhoods funding cycle begins annually on July 1 and concludes June 30 of the following year. Applicants for the 2018-2019 funding period have already been invited and this process is underway. To be considered for future funding opportunities, agencies must meet the criteria below and submit an interest form. Corporate donors, community members and individuals make up our Community Grant Panels. These dedicated volunteers pour over each grant proposal and identify the local programs that align with our strategies and goals to create a lasting impact. 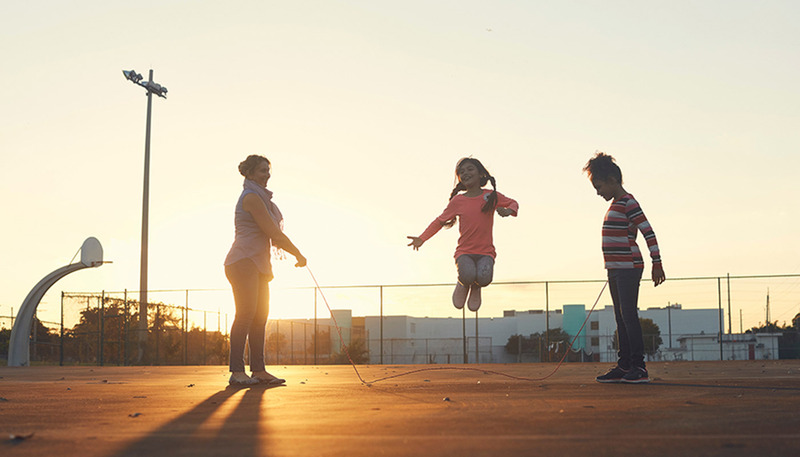 With a focus on building stronger neighborhoods, increasing racial equity and improving the systems that serve our children and families, we work with our network of more than 110 partners across our five-county region.